costs skyrocketing after their first year in power. Alan Austin reports. THE ABBOTT GOVERNMENT HAS ABANDONED all pre-election commitments to reduce the nation’s ‘skyrocketing debt’. Borrowings have increased dramatically since the last election. Now we know by how much. day — in just the first nine months. The Final Budget Outcome 2013-14 was released this week by Treasurer Joe Hockey and Finance Minister Mathias Cormann. has risen to $202.46 billion. 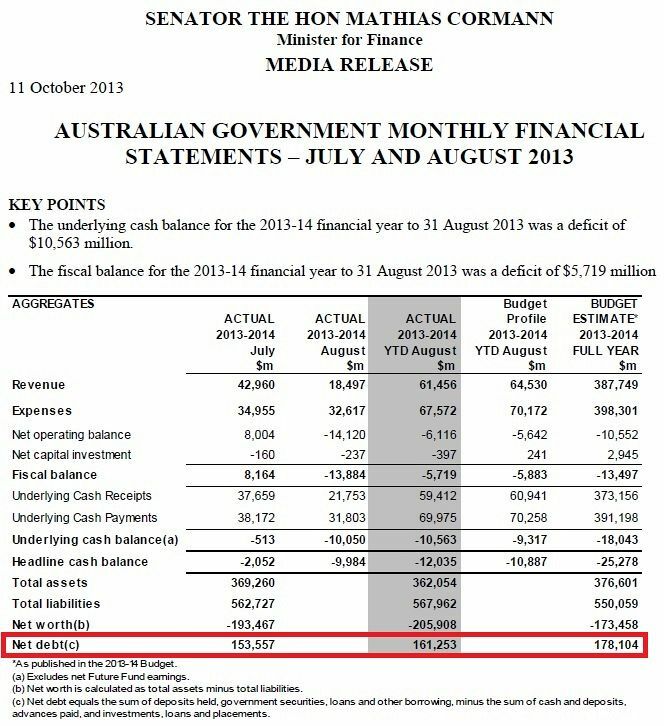 The last monthly Finance Department report prepared under the previous Labor Government, for 31 August 2013, showed forecast end of year net debt at $178.10 billion. treasurer, including abolishing the debt ceiling, the debt projection jumped to $191.52 billion. This number was reaffirmed in January, February, March and April 2014. In May, it was increased to $197.85 billion. Then, without notice, monthly reports ceased. 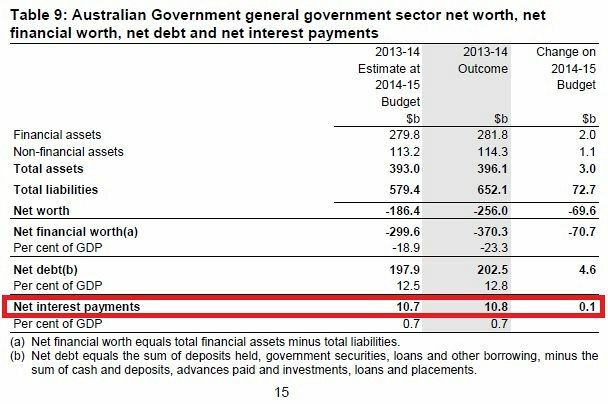 Clearly, the actual outcome under the Coalition is a cool $24.36 billion more debt than forecast had Labor stayed on. Up 13.7%. increased, including dubious travel for ministers and their entourages, costly royal visits and expensive politically-motivated royal commissions. 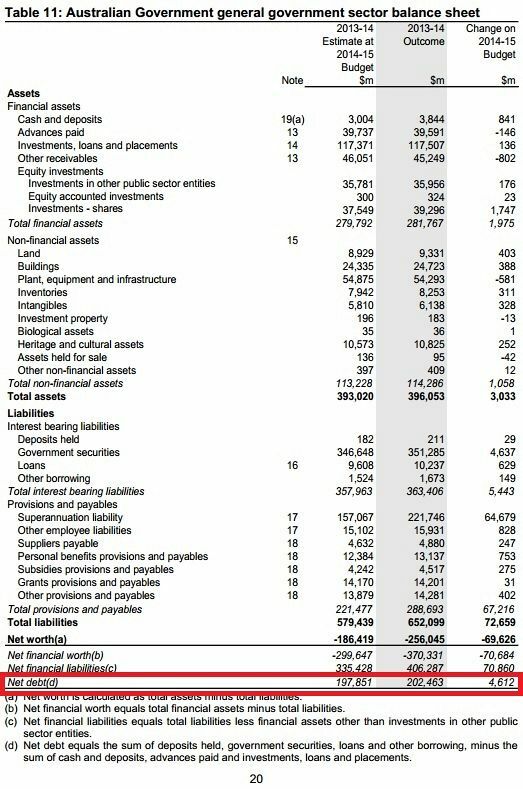 affairs’ blew out by a staggering $68 million. That was not Labor’s doing. Other unjustifiable spending by the Abbott Government includes its punitive border protection regime and an $8.8 billion grant paid to the Reserve Bank that it didn’t ask for and doesn’t need. projected budget deficits over Labor’s levels. ABC Fact Check unit showed in June that government decisions increased the deficits for the four-year forward estimates period by more than $68 billion. Gone are the dire warnings before the last election of debt ‘spiralling out of control’. what is it now, three months later? Well, we just don’t know. The debt reports produced monthly since December 1999 have suddenly stopped. Independent Australia asked the Finance Department why this was and when the next statement would be released. How long after? We shall see. Pre-election Economic and Fiscal Outlook. The actual interest costs incurred for 2013-14, we discovered this week, was a thumping $10.8 billion. That’s up 28.6%. 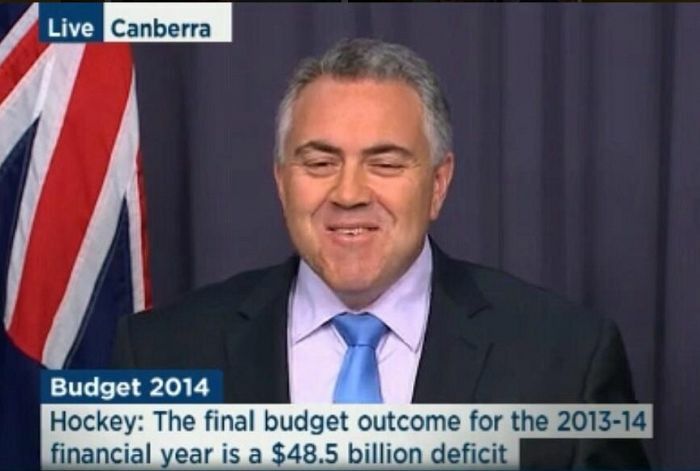 So Hockey is not just borrowing more money, but borrowing more expensive money. rates and the opportunity for investments in productive infrastructure. less than Switzerland’s. If tripled it would be less than Canada’s. It could be multiplied by six and remain lower than Germany’s and the UK’s. All these countries have a triple A credit rating and hence no discernible debt problem. And, of course, neither does Australia. 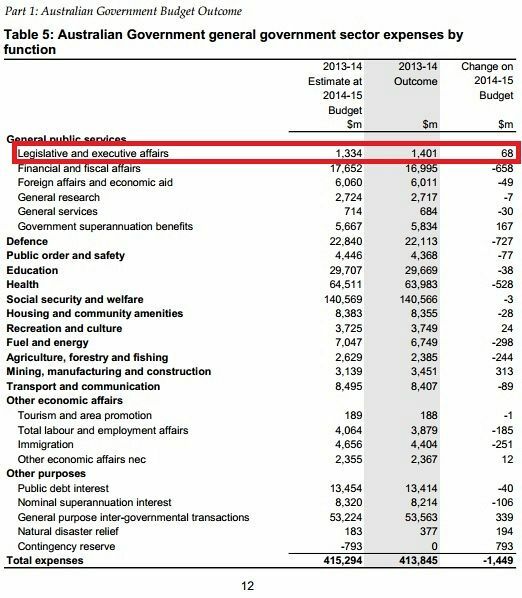 Australia does have, however, a surplus of government hypocrisy and a deficit in truthfulness and competence.